The Oregon Prison Project (OPP) is an Oregon Nonprofit Corporation founded in 2008 that envisions peaceful, thriving communities where we and our children can live and grow in safety. Teaching NVC in prisons and post-release programs. Providing the opportunity for inmates to become peer trainers and develop leadership abilities and the skills to teach NVC in the community when they are released. Providing a supervised practicum through which volunteers can become trained in teaching NVC. These teachers can then go on to bring NVC into schools and other areas where NVC can be effective in helping prevent crime before it happens. Oregon State Penitentiary (maximum security facility, Salem OR). This 48-week program is delivered in 2-hour classes to more than 100 participants annually, with 75 inmates currently on the waiting list. 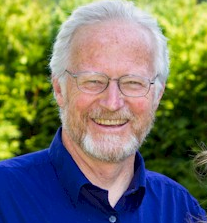 Fred Sly, PhD is OPP’s Co-Founder, Program Director, and Senior Faculty Member. Fred is a CNVC Certified NVC trainer with 13 years’ experience. His PhD dissertation in Psychology addressed violence in men and the impact that empathy has on reducing violence. In his private practice Fred offers NVC training as well as coaching, mediation, and consulting services to individuals, couples, families, groups, and organizations. His teaching style is warm, humorous, and approachable, reflecting his passion for community, belonging, transparency, and authenticity. Fred Sly began teaching NVC in California’s San Quentin Prison in 2003. Fred and five other volunteers grew the San Quentin program into what became BayNVC’s Safer Communities Program, serving 120 inmates weekly. 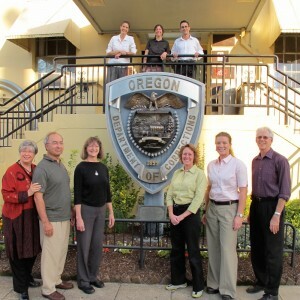 In 2008, Fred moved to Portland to be near his family, and in 2008 was invited to offer classes at Oregon State Penitentiary (OSP). OPP expanded to Columbia River and Deer Ridge in 2010, to Coffee Creek in 2011, and to PHOENIX House in 2012.